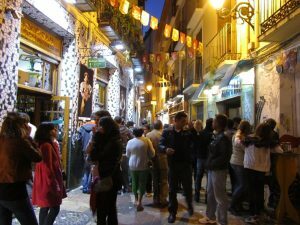 When I went home for Spring Break my family had its annual reunion at Casa Lac, a traditional Spanish restaurant in the old town of Zaragoza. Casa Lac opened in 1825 and it was the first licensed restaurant in Spain. For this reason, Casa Lac is nationally known as one of the most original Spanish food places and has attracted people from around the country and the world. This small local business is run by the Artiach family who has managed the restaurant for many decades. Casa Lac, has two dark and cozy floors, separated by a small staircase that still maintains the original decoration of the nineteenth century. The lower floor was an old pastry shop that has been converted into a coffee shop. The upper floor is a restaurant, with capacity for thirty people, and it is necessary to book in advance. 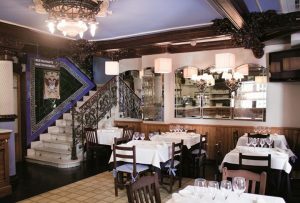 Casa Lac stands out, above all, for its impressive restaurant with small tables, plagued with columns and lamps that recall another century. The walls are adorned with moldings, carvings, damask curtains and portraits. When you walk into the restaurant it looks a little antiquated compared to newly built eateries next to it. The special dish of the House is the ‘pularda de uvas’, which is poussin (small hen) with grape sauce. As a recommendation, it is best to try the main menu which includes all kinds of gastronomic dishes at an affordable price. 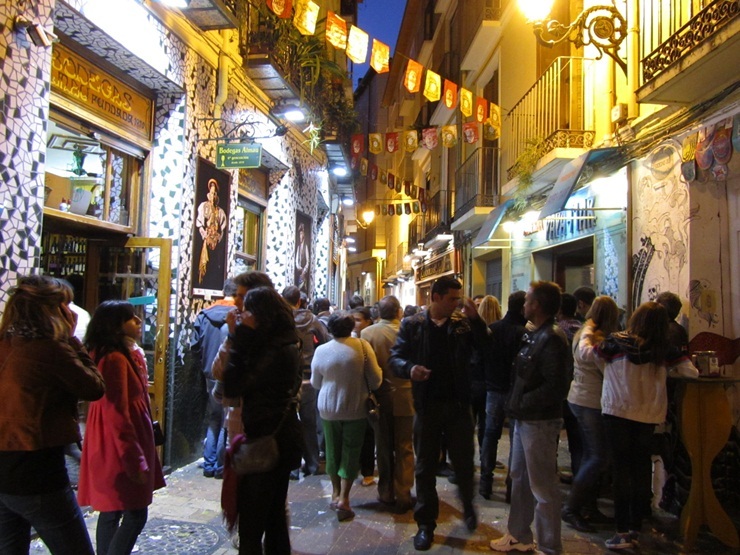 The old recipes of its dishes make it a traditional place to eat tapas or have dinner. It is mostly big groups or families that go to eat at Casa Lac at night while during the day people will come in and socialize with other costumers. Every Tuesday and Wednesday there are plays or performances by Spanish singers and artists. It is interesting to see how the neighborhood around Casa Lac has been shaped by gentrification and how other small businesses that used to surround it have been replaced by 21st century food chain restaurants and retail stores. One of the reasons why Casa Lac is still thriving is because besides being a high quality local restaurant, it holds historical symbolism and is considered an ‘art gallery’ of Spanish cultural legacy.